You have a profitable business, popular product line and a growing customers base. Efficient lead-times have been established to meet the needs of domestic customers and suitable distribution channels are in place to facilitate pallet shipping to Europe. However, some inefficiencies have been identified in your warehouse area and it’s time to make improvements. So, what’s important when improving efficiencies in a warehouse? A slick, well thought out despatch process? A great floorplan that maximises space and takes into account your most frequently despatched products? Effective storage that keeps things neat and safely stowed? Or a good inventory control system? The answer is all of the above. 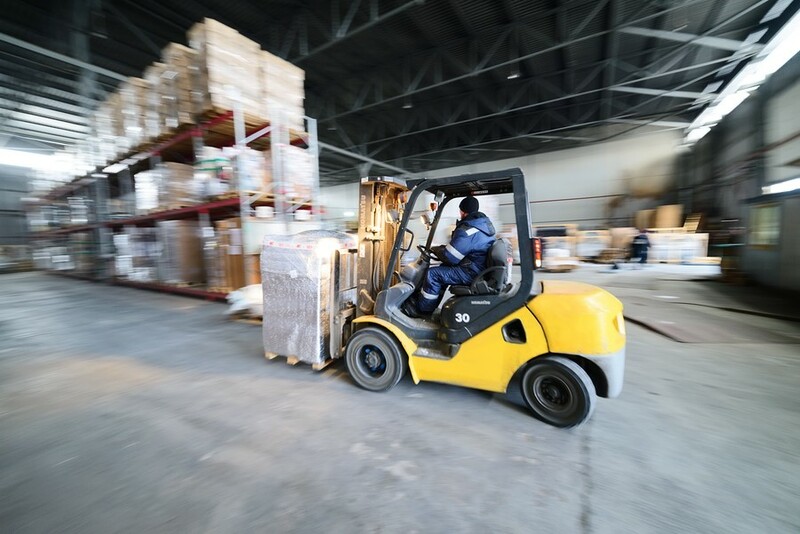 However even if all of your systems are robust they won’t bear fruit without one crucial element – efficient and effective warehouse employees. Despite the best laid plans and the newest technology, a company (or warehouse) in this case can still fall down without the effective use of your companies most important resource – its people. Take a good look at your warehouse employees. Do you know them well? If you have been treating them as an extension to the forklift trucks they drive or the barcoding machine they scan with, the chances are you do not. The people you employ in your warehouse are resourceful and capable. Have you taken the time to check out the intelligence, creativity and wisdom that may be lurking, underutilised in your warehouse right now? It’s easy for warehouse employees to just turn up, get on with a job in hand and then go home. Who can blame them, if they feel they are not being valued within the company there is no point in them making any more effort than they need to. There are a number of things you can put in place to help your warehouse employees feel like they are an integral part of the team. If you do this you will reap the benefits, employees will be more likely to show an increased interest, offer more in the way of ideas and be keen to embrace changes to improve the operation of the warehouse. The sharing of information is of paramount importance. The warehouse is a busy hub of activity and employees need to understand what is going on and why. Not being clear on important information or changes can lead to a climate of distrust and frustration. Every employee of the business from the lead managers to the warehouse employees and beyond need to understand that their role is integral, to do that each of them must receive the same messages about the goals of the business, the strategy going forward and how well the business is performing. It’s important that employees are informed if everything in the garden is not rosy e.g. There may have been some negative feedback from customers on issues relating to pallet shipping to Europe, with some of the pallets being incorrectly packed. Making sure employees are aware of what’s going on can help with resolution of the problem and preventing reoccurrences further down the line. Similarly, everyone should be able to rejoice if there are successes – news of a new contract can motivate employees and make them feel as though their hard work is paying off. It’s also important to empower your employees by offering training and development opportunities. There is a cost associated with offering this, but there is so much to gain. Training can be offered on the systems, processes and the technical elements of working in the warehouse. Consider requests for training too, if an employee is keen to train in first-aid make a note and next time first-aid training is carried out be sure to include them. Similarly, if an employee is keen to progress encourage them with by discussing options for future advancement and promotion within the company. The best recourse for addressing any problems within the warehouse is to maintain a consistently firm but friendly approach. Any issues should be resolved in a direct manner and not left for open discussion by everyone who works within the department. Finally, remember that the warehouse employees need to be part of the team. Whether it’s preparing a package for delivery two miles down the road or organising pallet shipping to Europe, ensuring the right products leave at the right time and go to the right place is critical to the success of the company. - Jim Goodnight, CEO of software giant SAS.